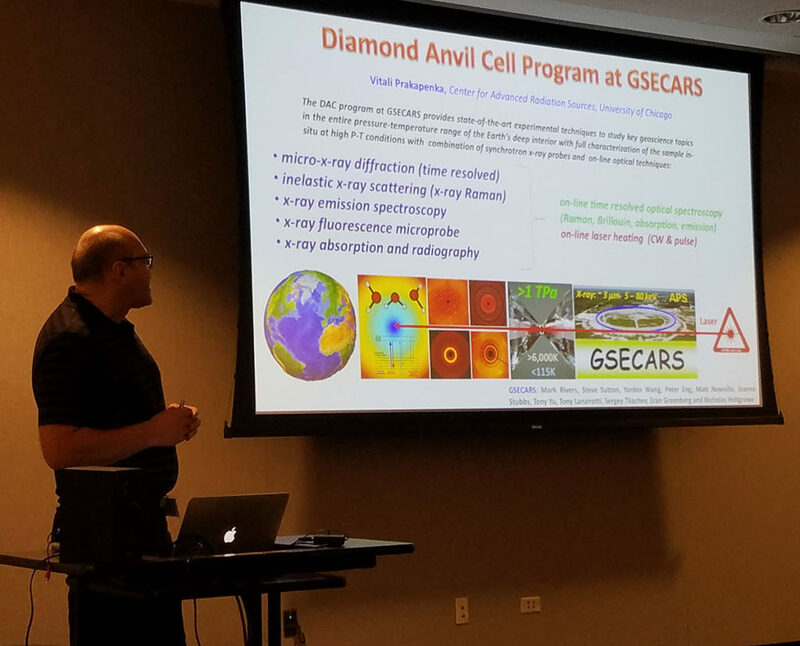 The Geophysical Laboratory’s Postdoctoral Associate Zachary Geballe has been honored with Carnegie’s seventh Postdoctoral Innovation and Excellence (PIE) Award. These prizes are made through nominations from the departments and are chosen by the Office of the President. 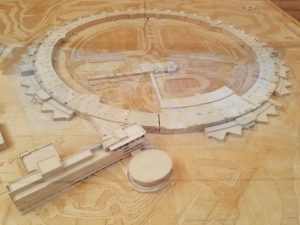 Geballe, in Viktor Struzhkin’s lab, was awarded the prize for his scientific innovations and community service to the Broad Branch Road (BBR) campus. Zack works on developing methods to measure the heat capacities of metals and silicates at high pressures. 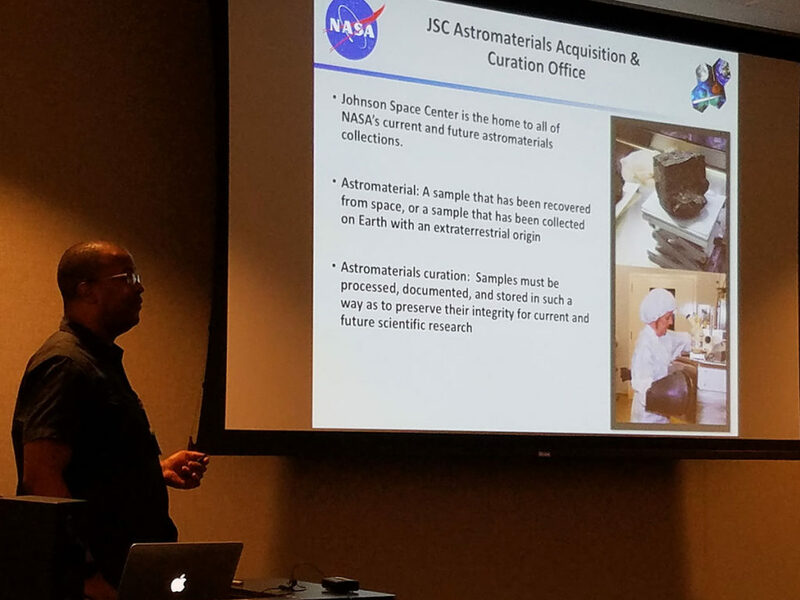 This work applies to developing new materials and studying the deep interiors of planets. He developed a pioneering technique to measure heat in a diamond anvil cell (DAC) by using a method called the alternating current 3rd harmonic method. The work was published in two recent papers in the Journal of Applied Physics. Additionally, he devised new, sophisticated sample loading procedures into the DAC with micro-manipulator equipment. The new approach has changed the way the group loads very small samples for high-pressure experiments. 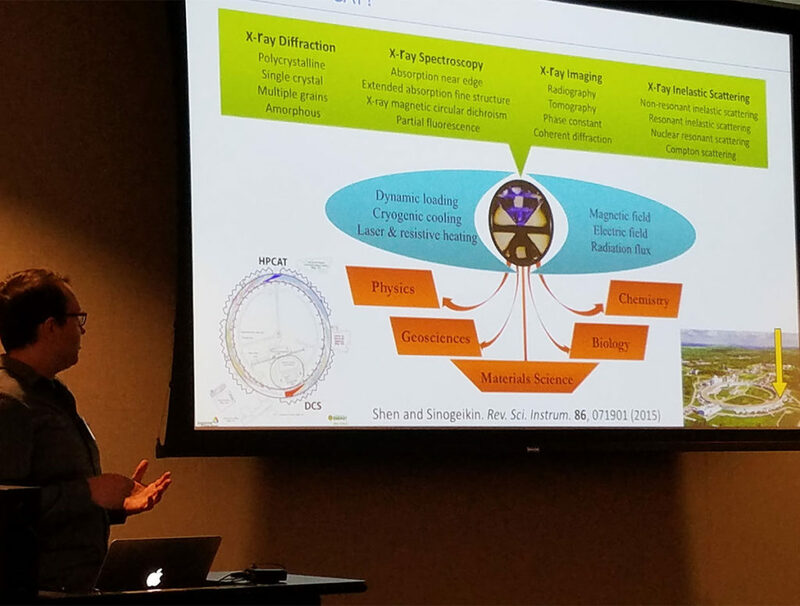 Additionally, Zack was a founding organizer of postdoc-led poster sessions at the BBR campus (see photos and details from 2015, 2016, and 2017), which have featured the work of nearly all the researchers and sparked new collaborations, approaches, and teamwork. Fullauto StrainEye LSM-9000S is a fully automatic 2D-measuring device which measures retardation values and the direction of a slow axis in a transparent body having strain and birefringence therein. LSM-900s is equipped with 6 times optical zoom lens. 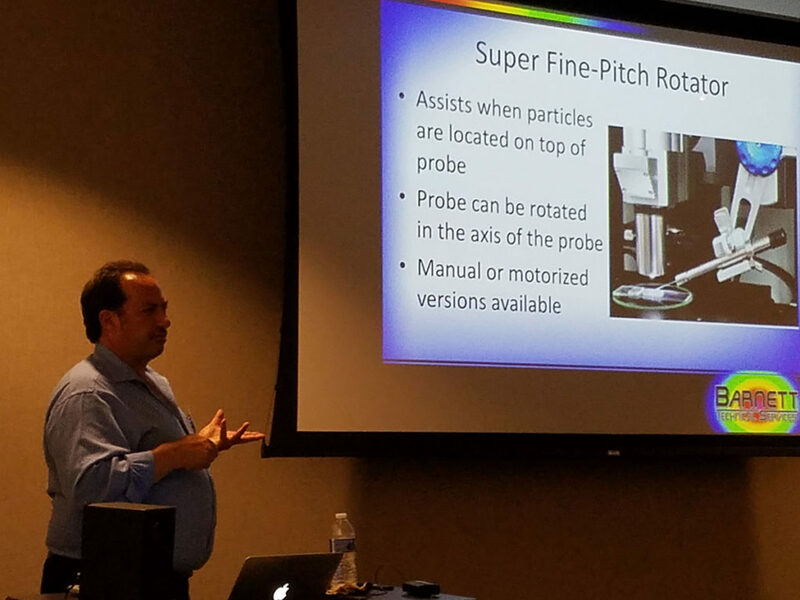 In order to measure direction and birefringence, conventionally the visual observation type polariscope using the Senarmont method is used. As well, our in-house manufactured product, Semiauto Senarmont which performs semi-automatic operations with the analyzer only manually rotated is also used. The Senarmont method is an inspection method for measuring retardation quantitatively. An operator rotates the analyzer so that brightness of the part to be measured changes from the brightest state to darkest state, and measures its retardation by rotating the analyzer angularly. However, this conventional type has a problem such as the difference in decision of the brightness due to the difference in the condition during the measurement and also due to the difference in skill of each operator. Moreover, in Semiauto Senalmont, although the accuracy of measurement has improved from the visual observation type, the area to be measured is defined to the specific small portion in an image. This Fullauto StrainEye makes it possible to start measuring immediately by only putting a sample on the polarizer. Therefore, retardation values and the direction of the slow axis can be measured easily. The measurement result is not influenced by each pixel of differences of personal skill. Not only a specific part is not subjected to the measurement but all of each pixel of a built-in CCD camera measures the entire detecting part. Since the direction of retardation and a slow axis are 2D-displayed on a monitor, those direction states are recognized immediately by the operator. 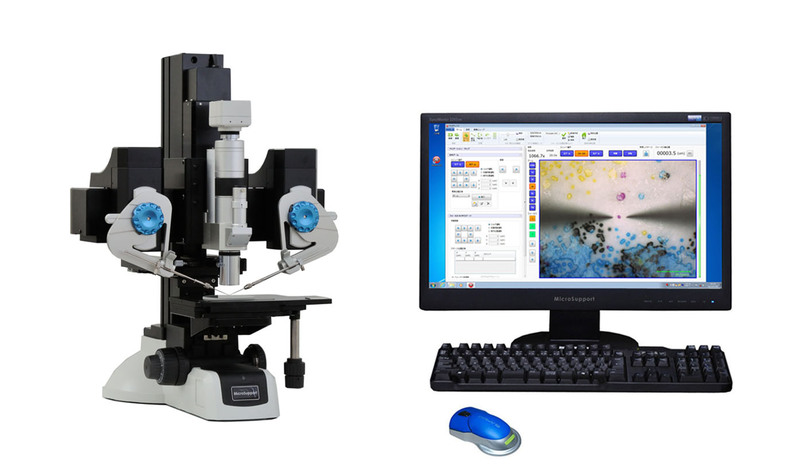 This instrument is suitable for measuring small samples since possible picture area is optionally variable from 60mm x 60mm to 10mm x 10mm based on being equipped with x6 magnification optical zoom lens for taking images. This device is connected with a PC, and it is therefore feasible to save not only the measured data but also the observed image data easily. With the use of super-luminescent LED as a light source, this detector is designed for long life and low power consumption. Accordingly maintenance and replacement of the light source as well as running costs can be reduced or dispensed with all together. 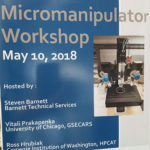 This workshop will bring together scientists from throughout the U.S. to share best practices in their micro-manipulation work. Through this Workshop, users will learn about valuable techniques from others who practice the art and discuss future developments that will allow for extensions of their work/research. 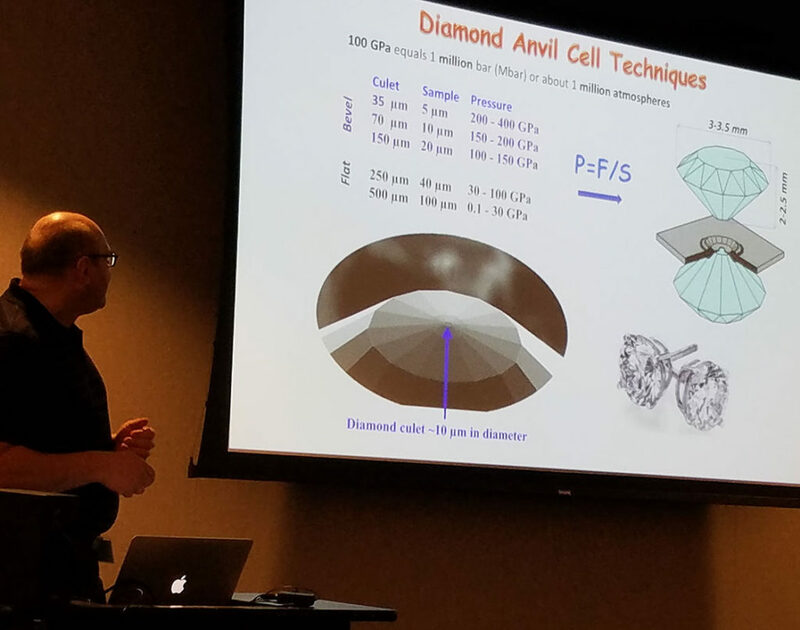 2018 Advanced Photon Source | Center for Nanoscale Materials Users Meeting. Main Meeting attendance is not required to join the Micro Support Users meeting.